It was a month ago when I started my Rambling Research, wading through the ether of the internet trying to find something useful to do. In my first blog on the subject, I discovered SARCOPENIA. Then in my very next blog I found I might have MEDIAL TRIBAL STRESS SYNDROME. 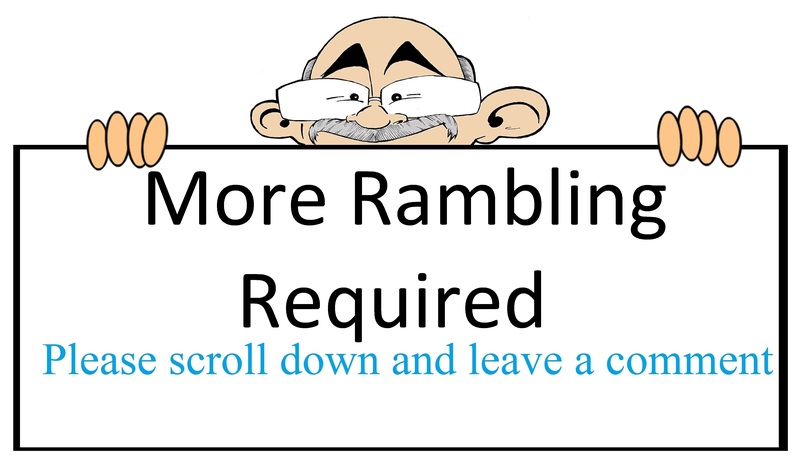 (You can see both the earlier blogs by clicking on “RAMBLING” in the TAG CLOUD). It’s a dangerous business walking aimlessly around in the clouds and if you believe everything that Google finds for you, you will be a virtual hypochondriac in a matter of nanoseconds. I have now re-started out on my celestial journey though the clouds. In no time at all I landed on a book called “The Age of Aging” by George Magnus. It rang a bell but not very loudly. I nearly ordered it on Amazon, but something stopped me when I saw that it was years old. How on earth did I miss it? A few days past and I thought of it again, only this time I decided to look on my bookshelves first. Surprise, surprise there it was, in fact I had two copies. So I must have been down this path before. One of the copies had my notes scrawled all through it, so I must have paid it considerable attention back in 2009. The book is about how the ageing of societies are changing the global economy. Heavyweight stuff but worth another look, because George Magnus is one of the few economists who forecast the economic crash in 2008. He predicted that as the old age ratio declined, countries would struggle to grow fast enough to support their elderly populations. He anticipated that increased immigration would be needed to bring in more economically active people and that retirement age would need to go up to keep people at work for longer. Both these things have happened in many western developed countries. What he makes little mention of is the impact of technology. The Information age has exploded and robotics is poised to replace many jobs. What does this mean ? Currently it is marginalising many older people. never read these tomes,??? I just wonder what the writers say about life for an oldie, and what I have too put my interests into and my back, to see what in Put into, what I may get out off life. It’s great to reflect, about life from time to time, and very therapeutic. I am not wishing to reflect On The total number of books or articles re-read either in printed word or either on the web, in the form of ‘blogs’. .DEbbie Maggie was unlucky not to be crowned with the “glitter ball”? All contestants deserved to win. A sober thought do we all wish the young to succeed, and have a full life? When we have had to master as oldies the ups and downs of life’s rich tapestry..
As john has stated a ramble through life.